Summer is officially here, and what better time than to go hang out on a baseball diamond in a cornfield on a farm in Iowa! The Lansing farm near Dyersville, IA – 30 miles West of Dubuque on highway 20 – was used as the primary filming location for the 1989 academy award-nominated film Field of Dreams. Producers remodeled the farmhouse, built a baseball diamond in the adjacent field, and spent 15 weeks shooting the movie on the Lansing property. After the movie’s release, the Lansings and their neighbors decided to maintain the baseball field as a tourist attraction. Since then, over a million people have stopped by, whether to play a little catch or to try out their best “Shoeless Joe” impression walking out of the corn. Note: In 2013 the Lansings sold their farm to Go the Distance Baseball, who plan on incorporating the movie site into their controversial All-Star Ballpark Heaven development, which would convert neighboring farmland into 24 additional baseball fields. 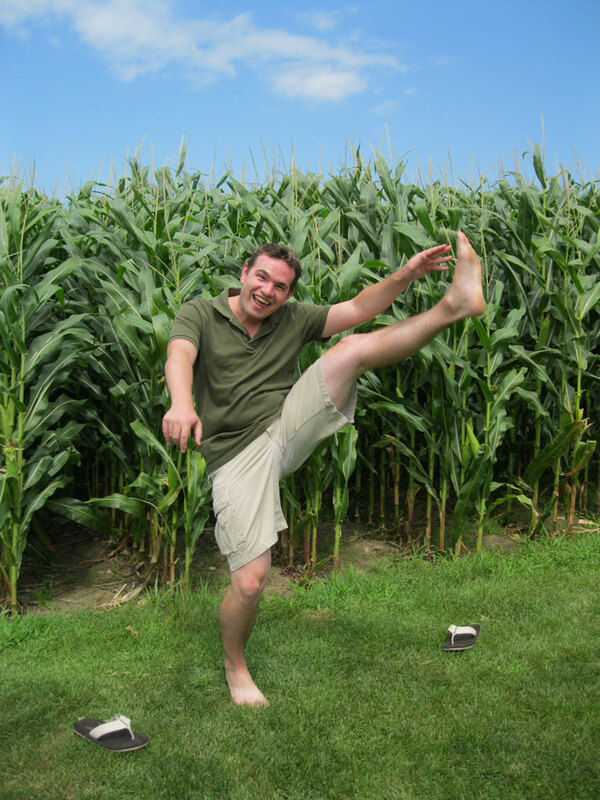 This entry was posted in High Kick Photos and tagged Field of Dreams, High Kick. Bookmark the permalink.